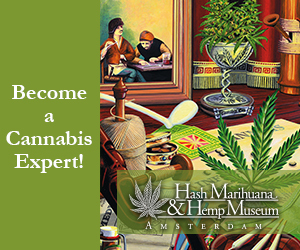 The Hash Marihuana and Hemp Museum will provide you with everything you’d want to know about the cannabis plant and its use cases throughout the ages. It will open your mind to all the possibilities that this magical plant has to offer. 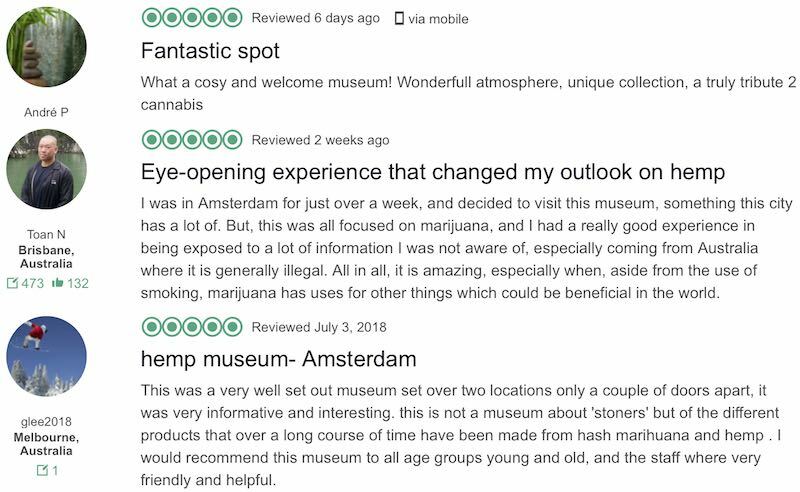 The museum gives a good global historical perspective on the appreciation of cannabis, political activism and the medical background of marijuana. It is located on the “Oudezijds Achterburgwal” in the Red Light District and actually consists of two separate buildings: the museum and the gallery. Two experiences for the prices of one! 18+ visitors can also experience the vapours from the five marijuana plants that are cultivated inside the museum, in a special vaporising room. 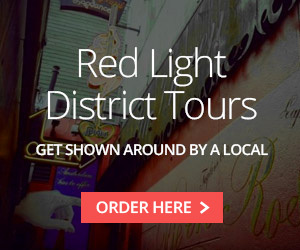 We recommend doing the audio tour to get the best experience! Take the audio tour with you to get the most information about all the different exhibit pieces. At the entrance you can get a small speaker box which allows you to scan barcodes to get an added audio explanation. The audio tour is available in Spanish, Italian German, English, Dutch, Portuguese and Russian and comes free with your entrance ticket. Weed culture on display in Asmterdam’s Hash Marihuana and Hemp Museum. Hemp is one of the oldest produce known to mankind. The museum area delves into the different use cases of the crop: recreational, medicinal, as textiles and oil. These days, the hemp plant is seen as a great alternative for cotton. The cultivation of cotton requires a lot of water and harmful pesticides. Its harvest is also very labor intensive. Contrast those characteristics with hemp: a strong, undemanding, versatile crop. The harvesting of hemp could easily be mechanised. 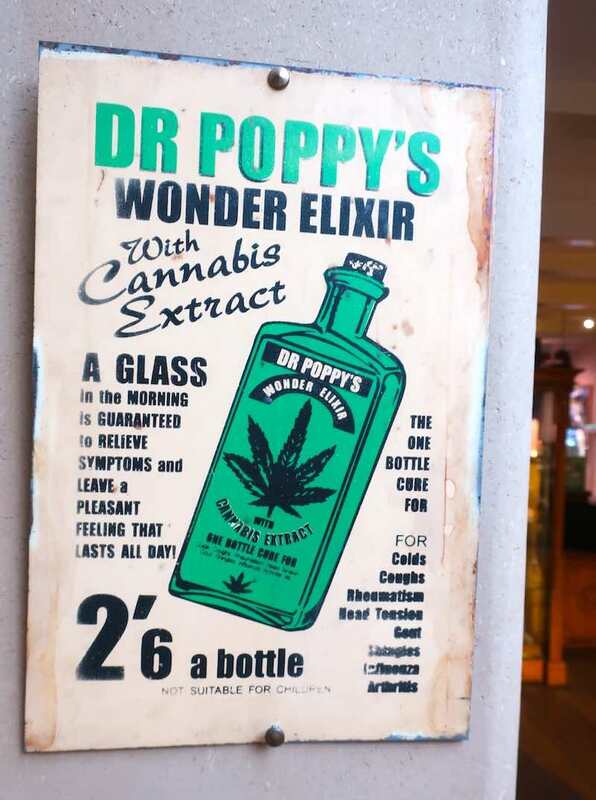 The museum also delves into the legalisation of cannabis in the Netherlands in the 1970’s which led to the now world famous coffeeshops. It also explores the US led global war on drugs. Great artwork is on display including classic propaganda posters. You can also find many great quotes from famous people from the past, and the present, about cannabis. You might be surprised about who are among them! Part of the Women Of Weed excebition in the gallery building. The Gallery offers a unique exhibit of selected artifacts that are really worth the visit. This place is not just for those who are interested in the traditions of recreational and medical use of cannabis. It also caters to the people who are interested in the history and social questions surrounding the use of hemp. This part of the museum also hosts a varying exhibit. Currently it highlights some amazing women who’ve shaped the current cannabis world. The excebition features “Whoopi and Maya”, a company co-founded by famous American actress Whoopi Goldberg. Also featured is Mila Jansen, aka ‘the queen of hash’ who herself established the precursor to Amsterdam’s coffeeshops. An exceptional photo series portrays female cannabis users: an ode to the diversity of Amsterdam’s cannabis culture. 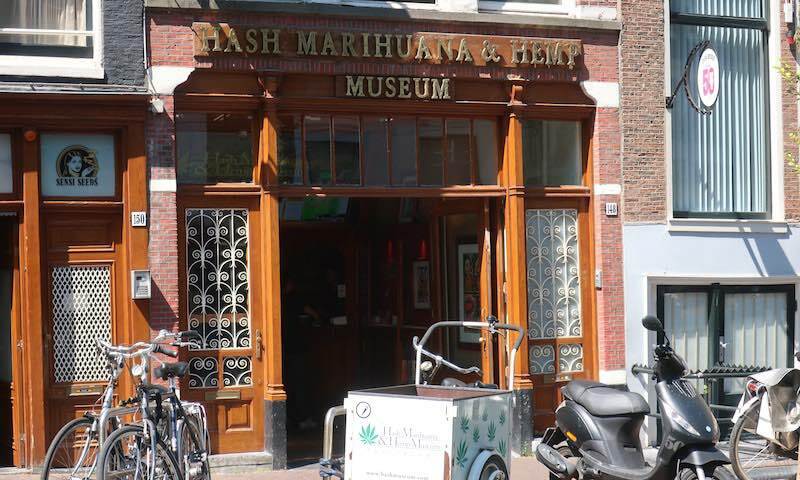 The entrance to the gallery section of the Hash & Marihuana museum in the Red Light District. The admission price for the gallery and the museum combined is € 9,- euro per person. For children up to the age of 13 the entrance is free, if they are accompanied by an adult. If you buy your ticket via the museum’s website you get a 5% discount. For groups of 10 persons or more there is a 20% discount option if you make the booking in a single reservation. Payment at the door can be done via cash, credit card or debit card. Three TripAdvisor reviews from people who’ve visited the museum. 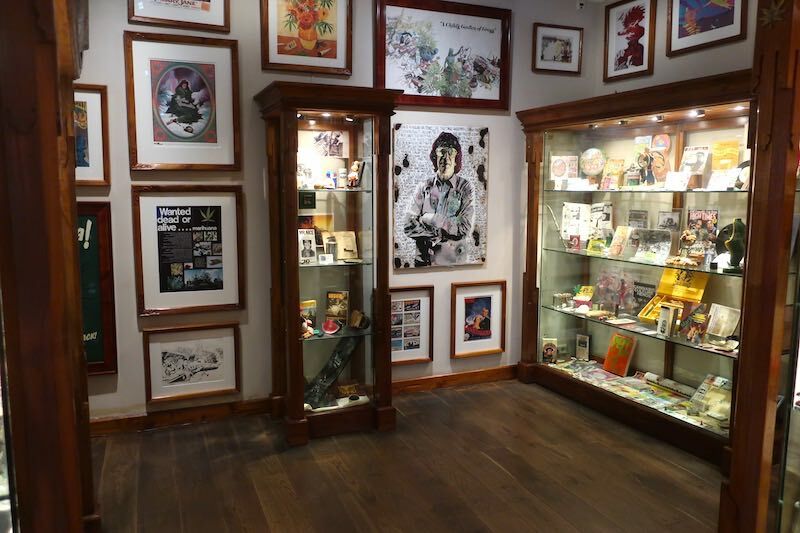 Have you already been to the Hash Marihuana and Hemp Museum? Let the world know how it was by sharing your experience in the comment section below.